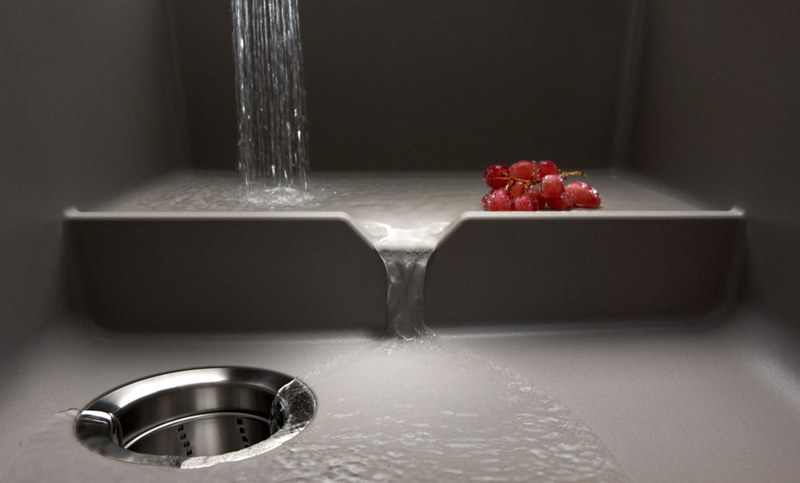 What better way to appreciate the design of a sink than an up-close look at the feature that makes it special? An integral platform at one end of the Performa Cascade elevates items for rinsing above the drain level, and a notch in its rim keeps water from pooling. The granite-composite basin comes in seven heat-, scratch- and stain-resistant colors.